The following projects are linked closely to the FIDUCEO project. We welcome contact from other groups working in a similar field. The GAIA-CLIM project is supporting Copernicus by establishing prioritised needs for further observational capacity, targeted at providing the required step-change in satellite calibration and validation capacity. The principle aim of the project is to lead a step change of availability of and ability to utilise truly reference-quality traceable measurements in support of satellite data characterisation. 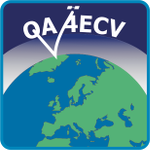 The QA4ECV project is developing an internationally acceptable Quality Assurance framework that provides understandable and traceable quality information for satellite data that is used in currently evolving climate and air quality services. This framework should to deliver the historically linked long-term datasets that users need, in a format that they can readily use.